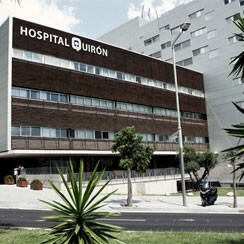 Hospital Quiron Barcelona is part of the Quiron Group and is located in an emblematic and well-connected area of the city. The new Hospital is the natural evolution of Quiron Clinic, a centre with more than sixty years of experience and a long history of providing excellent medical services delivered by prestigious professionals and their teams. Facilities have been designed to the highest standard possible and the latest in technology is available to ensure diagnosis and treatment is precise.